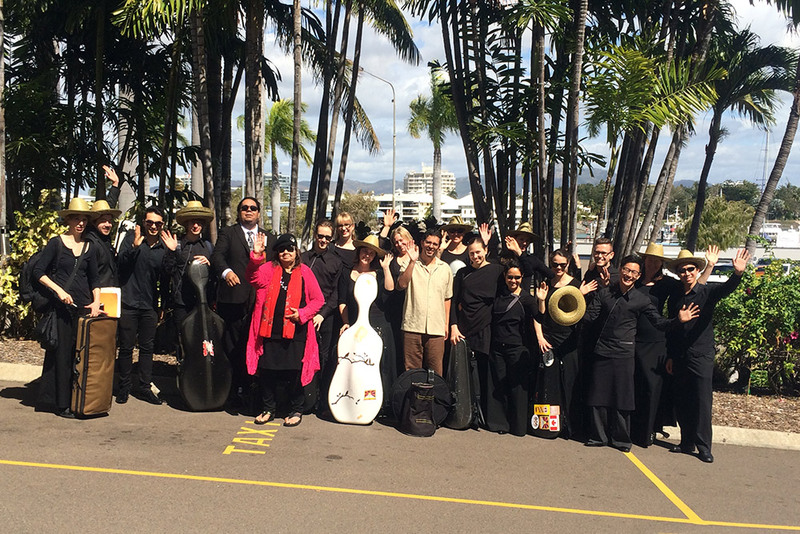 Camerata took to the road from Wednesday 30 July delivering a series of public performances, school workshops, and our highly regarded concert series in aged care facilities. Camerata is proud to work closely with communities to present opportunities for audiences to engage with music regardless of their age or location. Funkandworrebe who is . With investment from Arts Queensland, Tim Fairfax Family Foundation and from regional councils and business we provide quality music experiences for regional Queensland audiences. Partnerships are essential for Camerata to maintain our activities and in addition to our government and foundation partners we have successfully brokered first-time presenting partnerships with local organisations to help realise this tour – Hinchinbrook Local Council, The Arts Council Tablelands Inc, and the Cairns Civic Theatre.